The generic drug industry (as a part of the pharmaceutical business) covers the marketing and sale of medication containing the same active ingredients and dosages as brand-name drugs manufactured by the pharmaceutical industry. 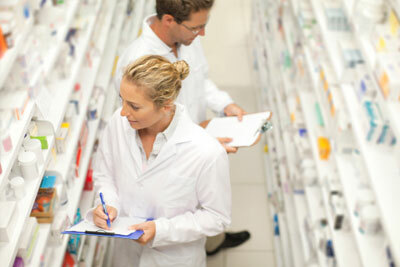 Drugs can be prescribed under their chemical name without specifying a particular pharmaceutical brand or company. A key benefit of generic drugs is that they usually cost a fraction of the price of brand-name drugs, as much as 80% to 85% less according to the US Food and Drug Administration. For example, Glucotrol, a drug used in the treatment of diabetes, represents a monthly cost to patients of between $42 and $84 for 10 mg tablets; however, the drug’s generic version, Glipizide, costs up to 10 times less at between $4 and $8 per month. Generic drugs are under the same governance as brand-name drugs and must adhere to the same standards. When brand-name drugs come off patent, the market is opened up to generic versions. Patent protection generally protects a drug’s intellectual property rights for about 20 years, but as the patent is effective from the clinical trial stage, the actual time the drug is on the market can be far less, often between 10 and 14 years. After a patent expires, pharmaceutical companies come under fierce pricing pressure due to competition from their less-expensive generic counterparts. Generics help reduce government spending on healthcare, accounting in part for a near 5% decrease in US drug spending, reports the FDA. The FDA acts as a governing body for generic drugs to enforce maximum standards of variation with brand-name drugs. However, in an 11-year study, variation in absorption of branded and generic drugs was found to be as little as 3.5%. Such negligible variation could equally exist in a comparison of two branded drugs. Generic drugs took all of the top-10 spots for the most-prescribed drugs in the US last year, as ranked by the IMS Institute for Healthcare Informatics. Only three brand-name drugs ranked in the top 25, highlighting the strong foothold secured by generics. Possibly further boosting future sales is the looming patent expiration of several of the pharmaceutical world’s star prescription brand-name drugs, for which generics are poised to claim a sizeable market share. Top generic drugs to enter the market this year are expected to be Methylphenidate (an attention deficit hyperactivity disorder drug taking over from Concerta) and Levofloxacin (a copy of antibiotic Levaquin). BCC Research shows Teva Pharmaceutical Industries to hold just under 20% of the global generic drugs market, followed by Sandoz, with 10% of the market. In joint third place are Watson and Mylan, with 6% each. Together, Teva, Sandoz, Watson, and Mylan hold a combined 40% share of the global market. The generic drug market is gaining increasing ground over brand-name pharmaceuticals, with the FDA reporting that generics account for more than 70% of prescription drugs in the US.